After several trips to the Emerald Isle, I have learned that it is shockingly difficult to find a bad hotel or resort. 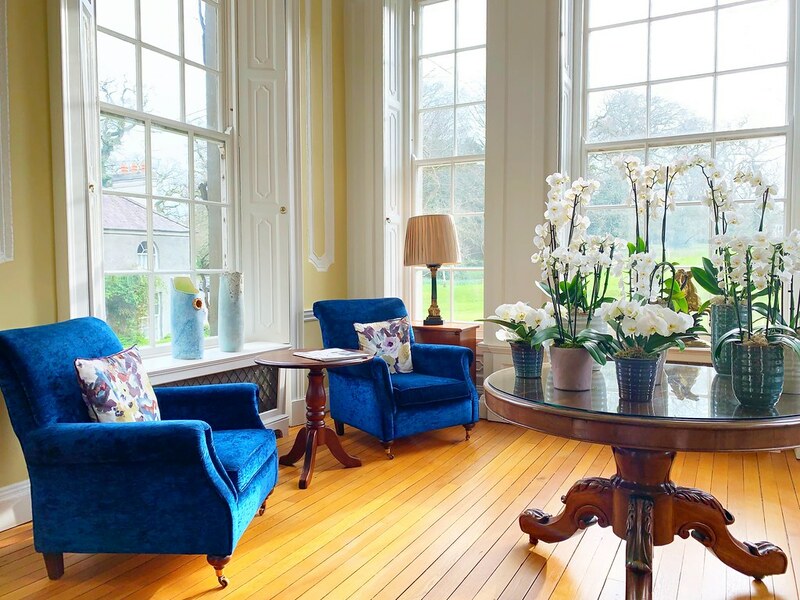 Kindness and warm hospitality are among the many reasons why I love traveling around Ireland, and in the country’s best hotels those are qualities found in abundance. There are though a handful of properties that aren’t just nice, they’re remarkable places to stay and explore. They become part of the destination, part of the adventure and that is certainly the case at the expansive Mount Juliet Estate. Located near one of my favorite cities in Ireland, Kilkenny, Mount Juliet is one of those great classic estates that we typically only read about in Agatha Christie novels or see in episodes of Downton Abbey. Built in the 1750s by the Earl of Carrick after his wife Julie, the Georgian manor is at the heart of the experience and still welcomes guests as it has for generations. 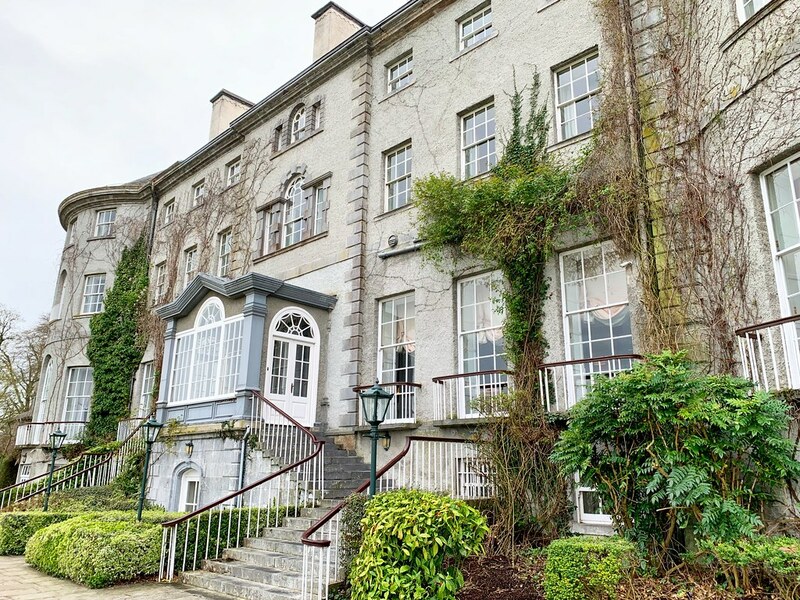 Walking up to the mansion, I couldn’t believe that I would be staying at the original Manor House, living in the history that has defined this part of Ireland for so very long. The Manor House isn’t the only lodging option for guests, but it is the one that interested me the most. 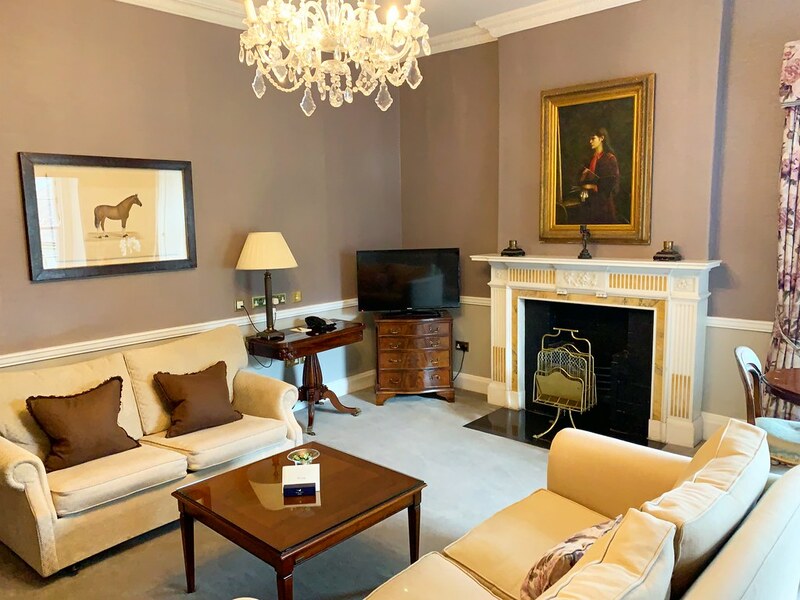 The Manor House has 32 rooms, each named after a figure in the house’s history and each decorated in ways that are both modern, but certainly in tune with the long history of the estate. 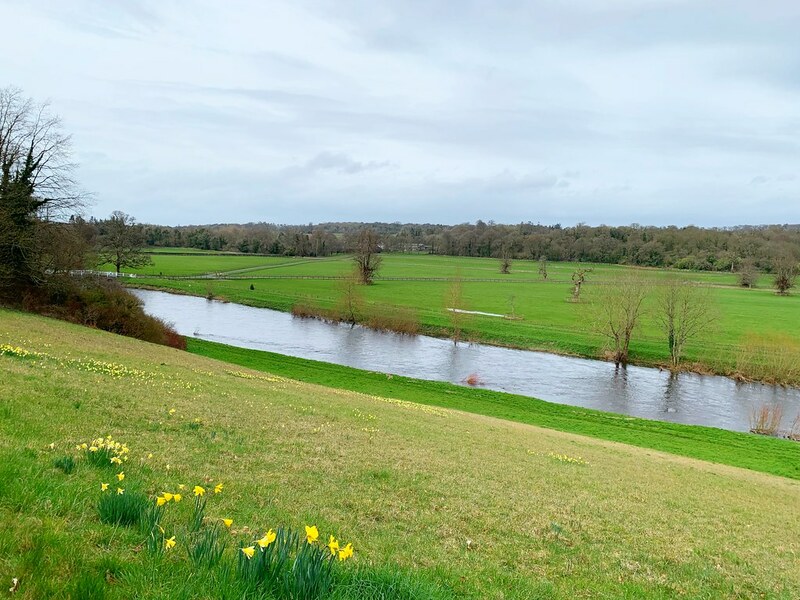 Spending the night in the house itself was perfect, and as I looked out of my window across to the River Nore it was the Irish country getaway I’d always wanted. 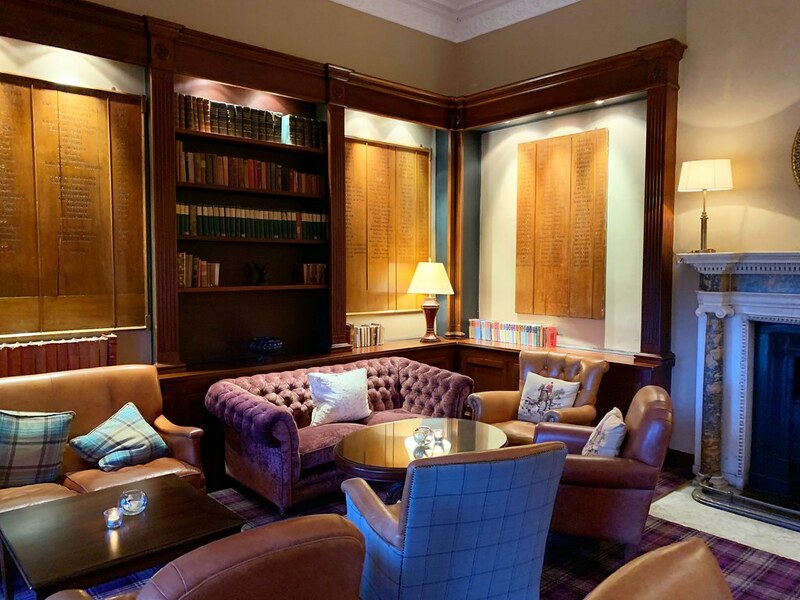 That’s not the only option, as I mentioned, there is also Hunter’s Yard, which is a more relaxed kind of luxury hotel next to the estate’s Jack Nicklaus designed signature golf course. Both offer the same incredible service and attention to detail, it’s really just a matter of preference where you want to stay. I regret I didn’t have more time at Mount Juliet, because it really is a vacation within a vacation. Sure, its location means there are many great sights and experiences close by, but there are also a number of activities to enjoy on-site. What tends to interest most guests are the equestrian offerings, since horses have been a big part of the Mount Juliet Estate for a very long time. Enthusiasts flock to Mount Juliet even if they aren’t guests at the resort thanks to the advanced equestrian facilities on-site. With two all-weather arenas, show jumps and trails that spread out across the 500-acre estate, there are plenty of opportunities to enjoy some time riding. But you don’t have to be an expert to enjoy the horses at Mount Juliet. I asked a staff member who told me that most people try horseback riding for the first time at Mount Juliet, under the careful tutelage of the estate’s instructors and trainers. So if you’ve ever dreamed of riding through the Irish countryside with only the sound of the wind as your companion, this is your chance. There are also a number of other activities found on the estate including their famous golf course, but also a spa, archery, falconry, fishing and more. 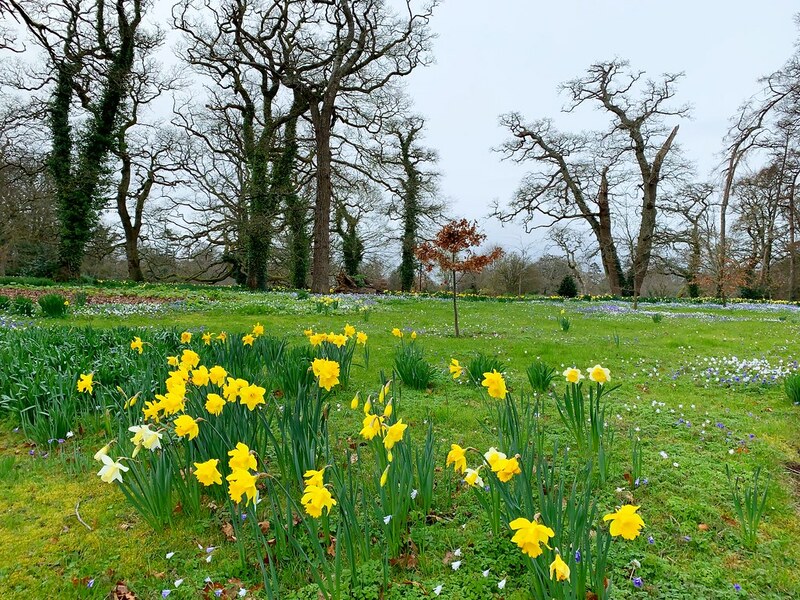 Mount Juliet really is a vacation in its own right, but that doesn’t mean some exploration isn’t in store, especially with the fascinating city of Kilkenny so close by. Sometimes we just click with certain cities for reasons unknown to us. It could be our moods, the weather or what there is to see and do, but whatever it was I quickly fell in love with the colorful medieval city of Kilkenny. Straddling the banks of the River Nore, the city always seems to be busy, especially if the weather is nice as was the case during my visit. Walking around though I found myself getting lost in the colorful homes and business as well as the fantastic river views found throughout the downtown. There’s a lot to see and do as well, and I tried to do as much as I could in a short day. Climbing to the top of the Round Tower at St. Canice’s Cathedral, I discovered a new appreciation for the size and scale of Kilkenny, while of course enjoying the views. If you like beer then this is the town for you – Smithwick’s began here and their interactive Experience tour is one of the best food or drink related tours I’ve been on. Add in a massive castle, great food and friendly people and this is one city in Ireland not to miss. 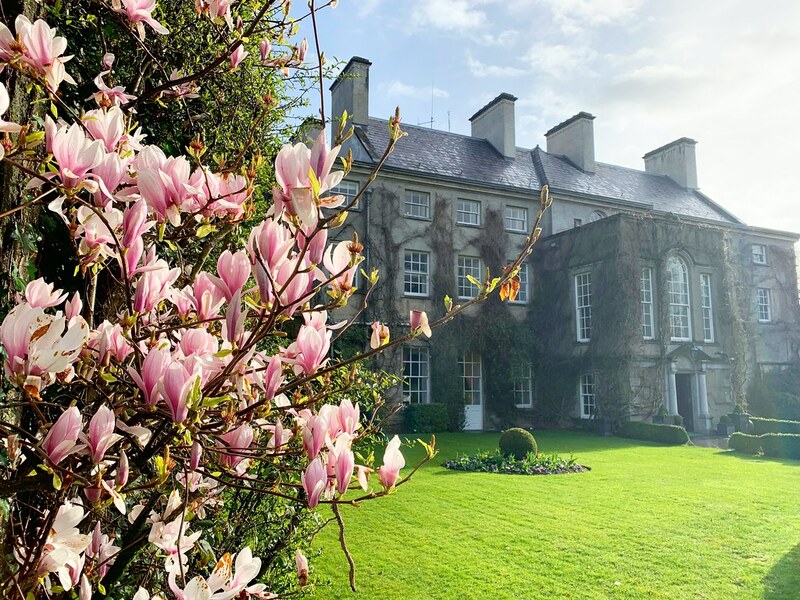 When you’re done exploring Kilkenny, it’s time to spend more time relaxing at Mount Juliet, especially enjoying their critically acclaimed restaurants. 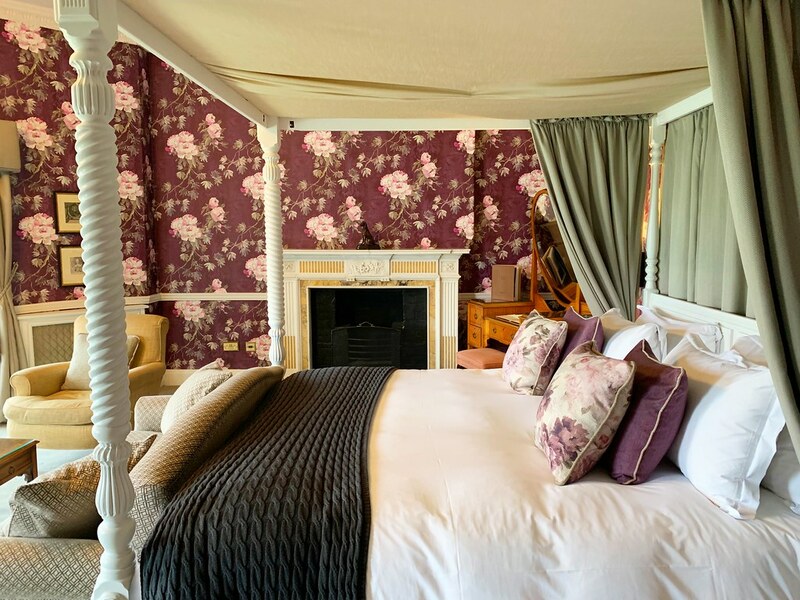 Located in the Manor House is the 1 Michelin star restaurant, the Lady Helen. Named after a previous owner, the menu uses the finest of location ingredients in menus that are internationally inspired, creating a dining experience that is unlike most others in the region, and certainly one of the most delicious. 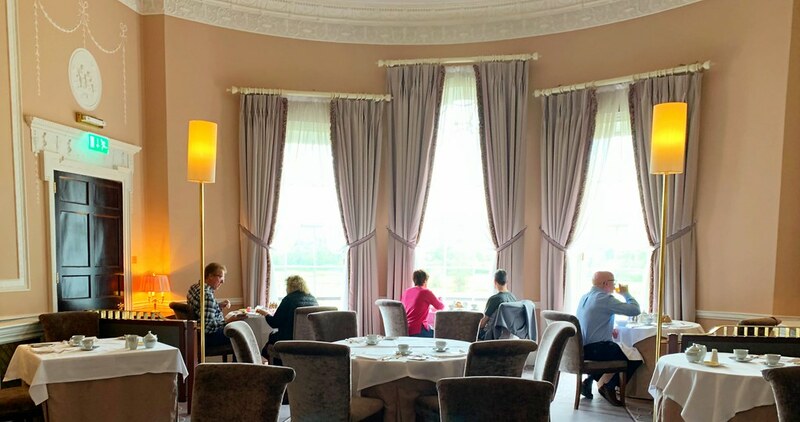 Add in the opulence of the dining room itself and the incredible views of the River Nore, and it’s a dining experience that attracts people from all over the world to enjoy. For something a little more laid back, but no less noteworthy, there’s also The Hound at Hunter’s Yard. Another critically acclaimed restaurant, this warm and inviting space begs for long meals and lots of laughs. As I discovered, the menu has a little something for everyone but is made with the precision and attention to detail I’d expect from any fine-dining experience. It was a delicious dinner but, more importantly, a fun one that felt homey and natural. It was the perfect capstone to a day spent enjoying the best that Mount Juliet has to offer. Traveling around Ireland presents the traveler with any number of options, especially when it’s time to check into a hotel. Mount Juliet is different from most properties I’ve visited in Ireland though, it honestly is a destination in its own right. I can easily imagine spending a week at the estate, alternating between exploring the surrounding region with just relaxing on the property itself. 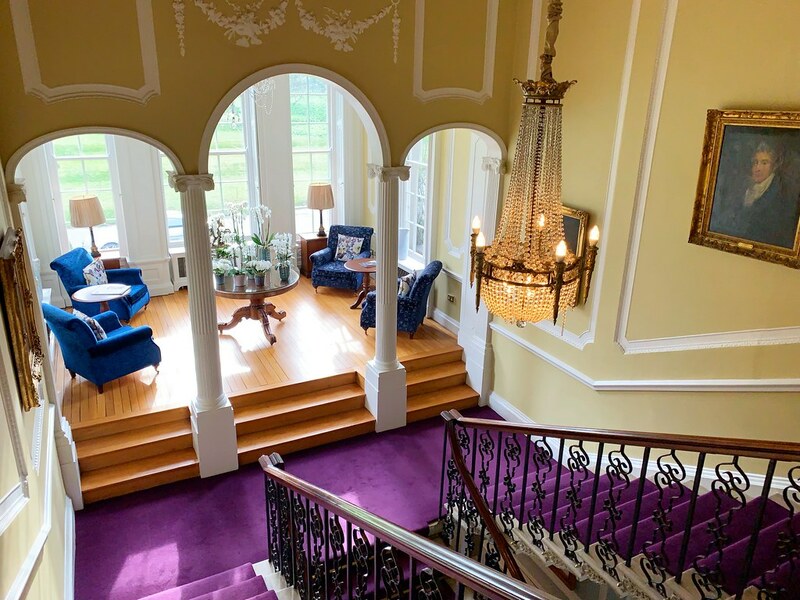 It’s that balance that I think is so important in the travel experience, and it’s that balance that the Mount Juliet Estate manages and encourages so very well. Wow it is so beautiful and looks like a perfect spot for a weekend getaway! I have friends in Ireland and I visit often, I’ll have to check this place out 🙂 And you’re right – it’s tough to find a “bad” accommodation there, everybody is just so welcoming! !